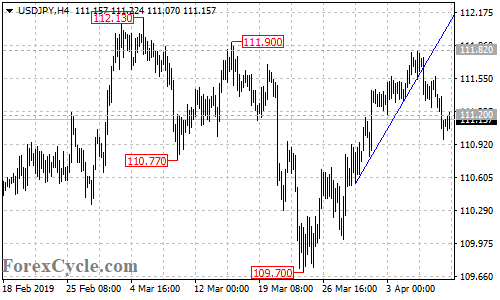 USDJPY broke below 111.20 support, suggesting that the upside movement from 109.70 had completed at 111.82 already. Further decline could be expected in the coming days and next target would be at 110.00 area. Resistance is at 111.82, above this level could trigger further upside movement towards 112.50.